Ultimately, the actual crime and its investigation are remarkably secondary to the character arc of our hero, Inspector Chen. The final resolution of the case - which is nearly a fait accompli, is background to the subdued personal drama. Weird, but interesting. Recommended by Robin Sloan, this is as he calls it 'a straightforward police procedural.' 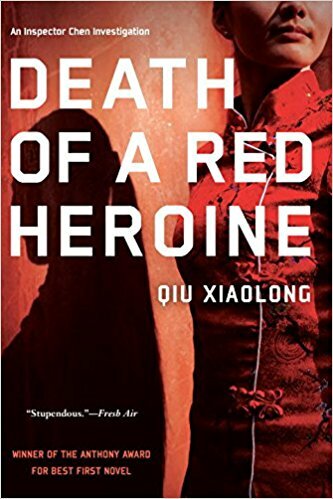 It's the sort of murder mystery / cop drama that I would never read, except for Robin's recommendation and the fact that it's set in China, which I'm always interested in. The setting is interesting - it's modern Shanghai, but in 1990 - before the incredible boom that's transformed Chinese society and first-tier cities. There's an undercurrent, a rumbling, of that explosion coming, but it's not clear what it might mean for the city's citizens. Our hero, Inspector Chen, is a poetry-loving cop who is surprisingly not 'flawed' or 'dark' or 'damaged', but just a guy trying to solve a murder and make ethical choices that help others around him. Not a page turner, but interesting!